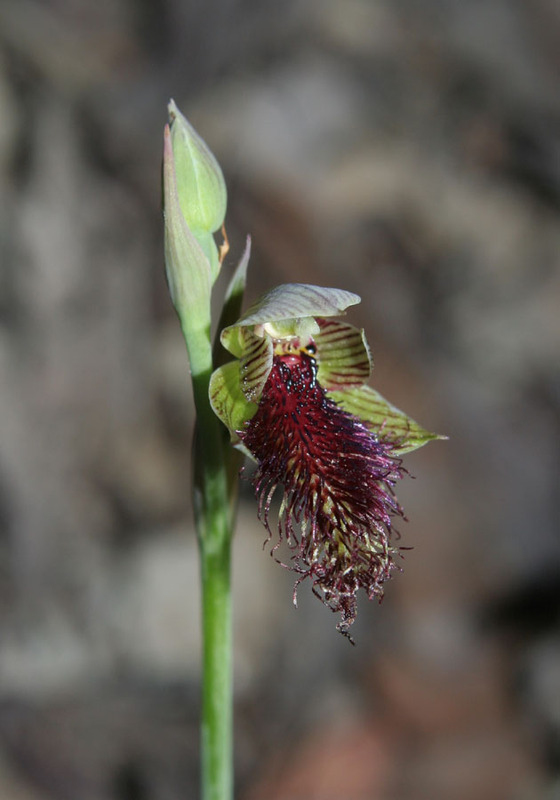 These distinctive orchids have a very hairy labellum, which gives them their name. 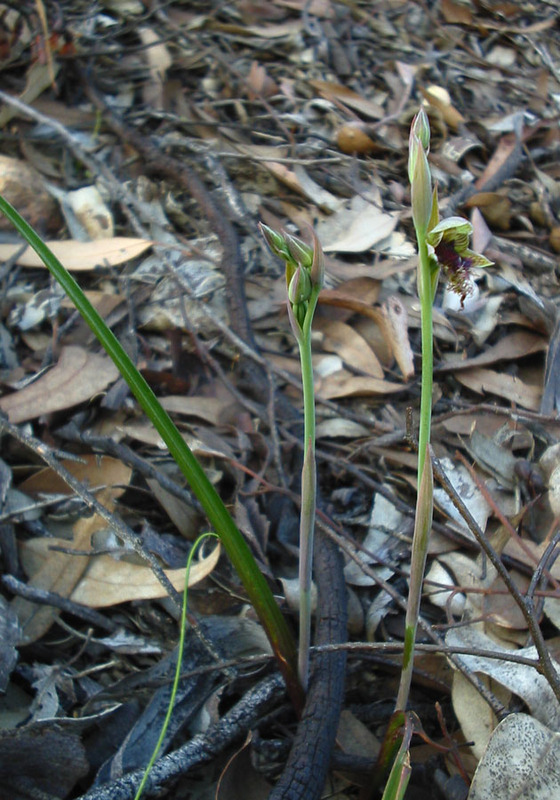 There are three species found in the south west of Western Australia. 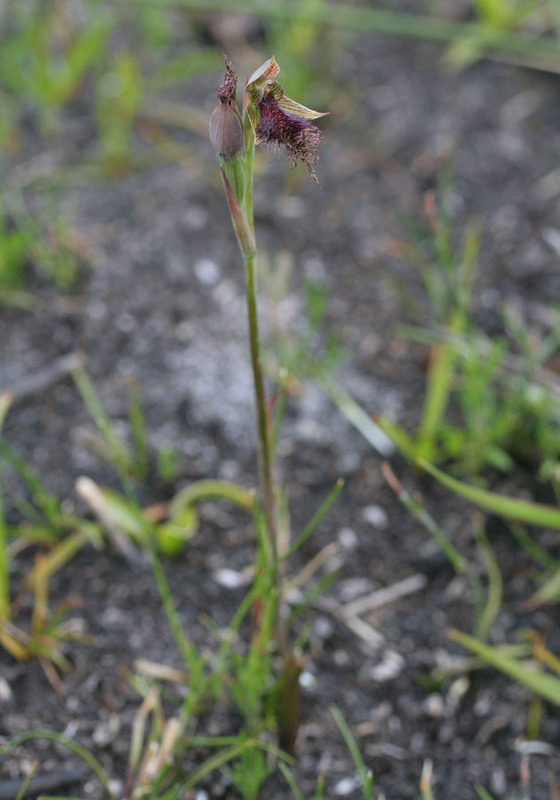 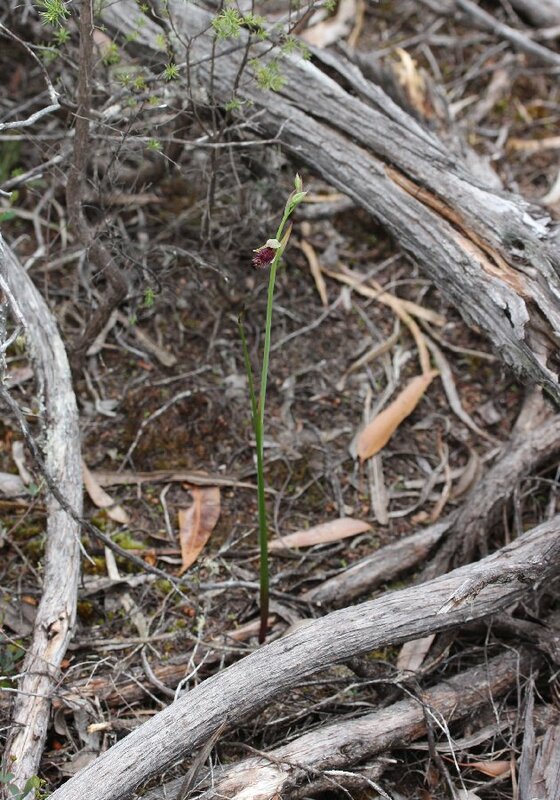 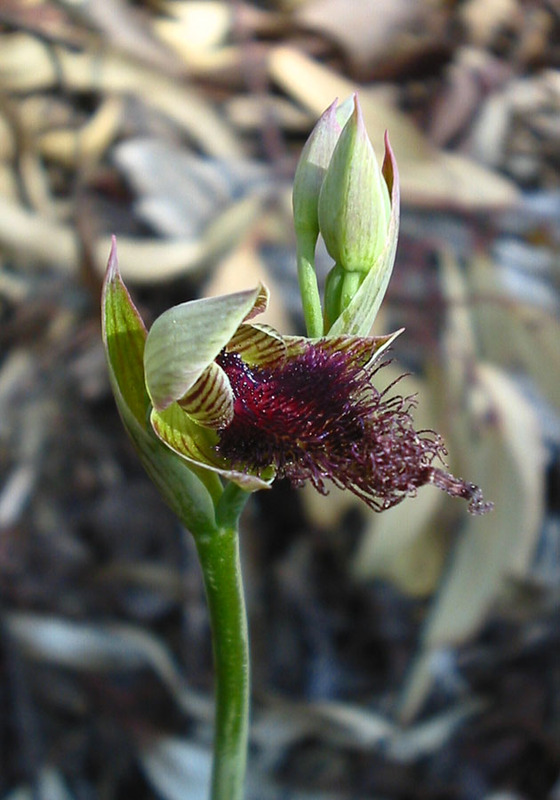 The Wandoo Beard Orchid is found between Dryandra and York and is found in deep leaf litter under wandoo trees, usually on breakaway slopes. 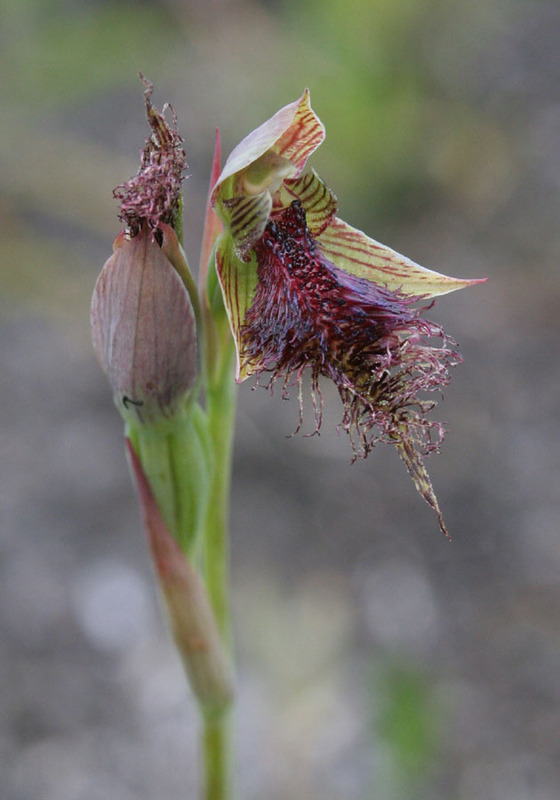 The Swamp Beard Orchid looks much the same as the Wandoo Beard Orchid, but is found in mainly along the south coast in swampy ground. 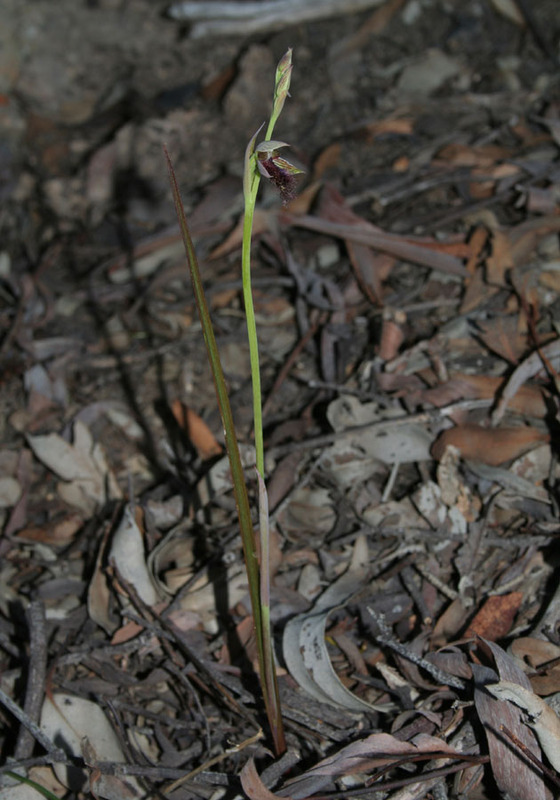 It also flowers a few weeks later and can grow much taller, reaching 50cm. 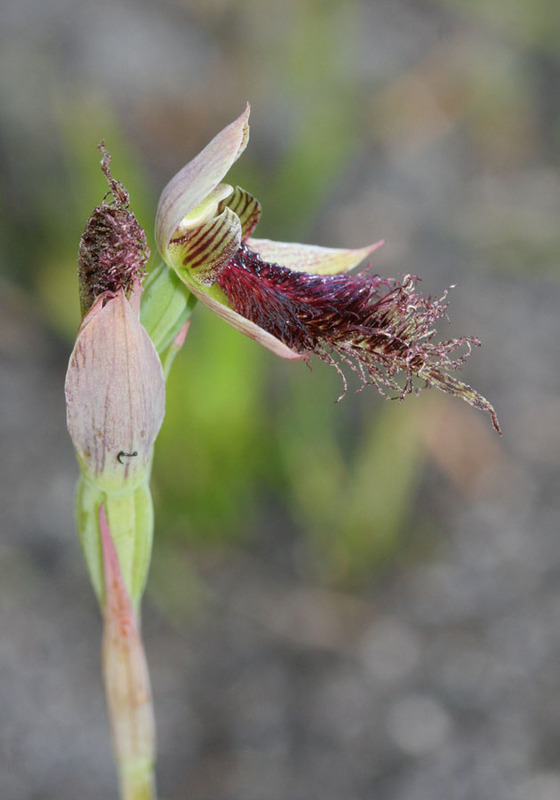 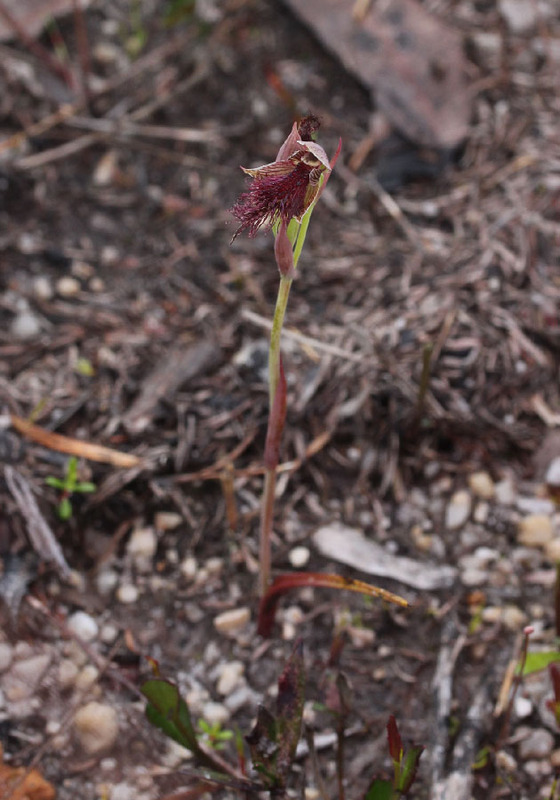 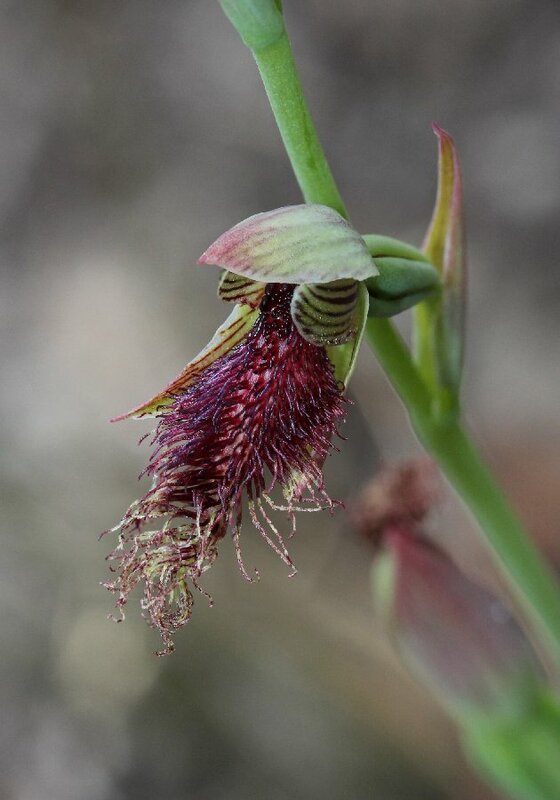 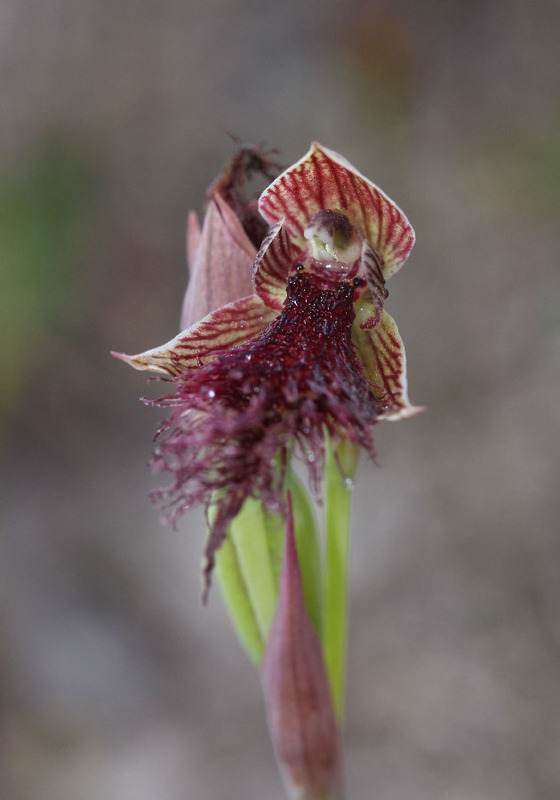 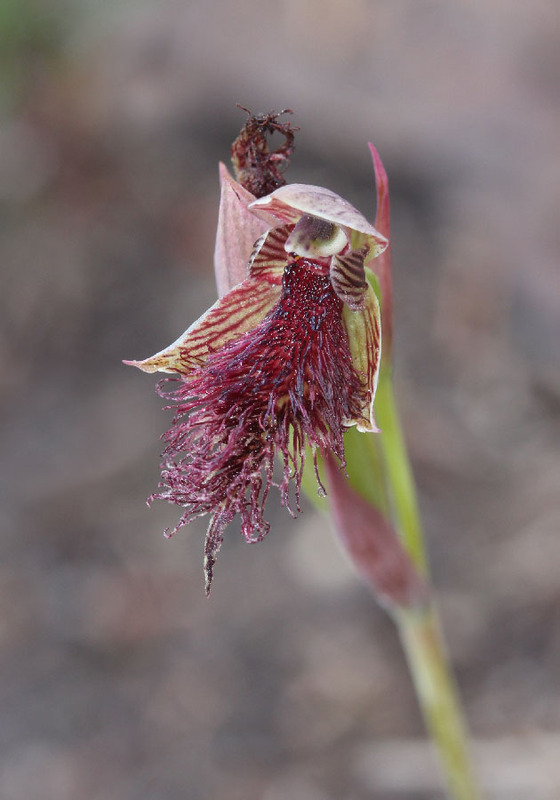 The flowers of the Boyup Beard Orchid look much the same as those of the Swamp Beard and the Wandoo Beard. 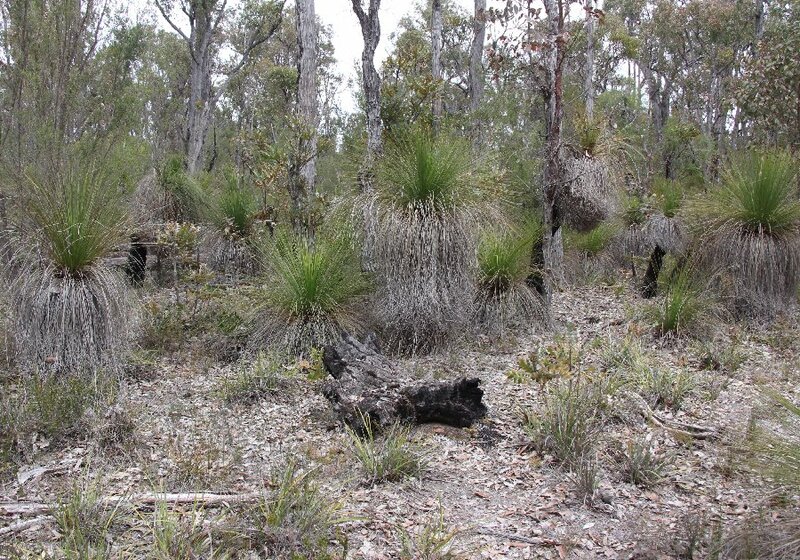 The species is distinguished by the taller plants and the habitat. 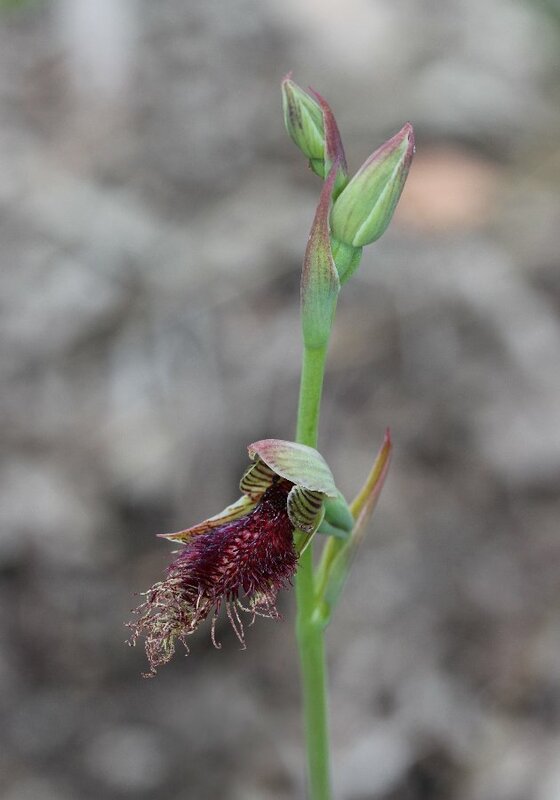 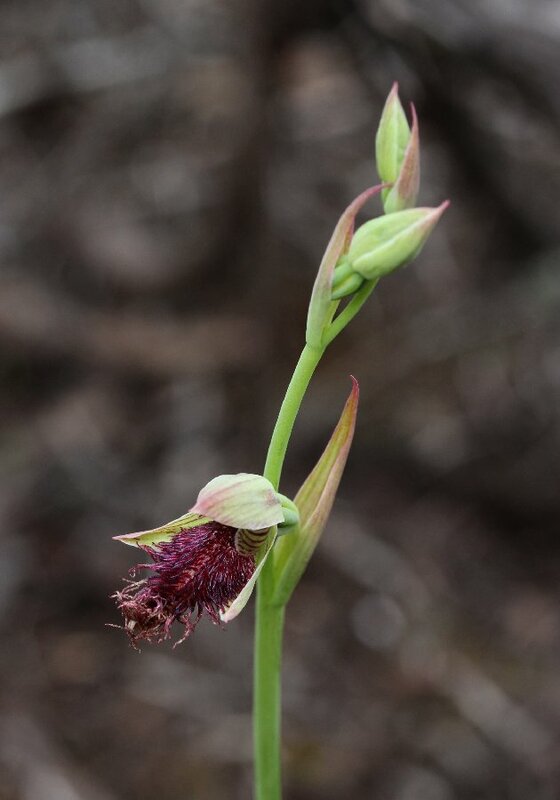 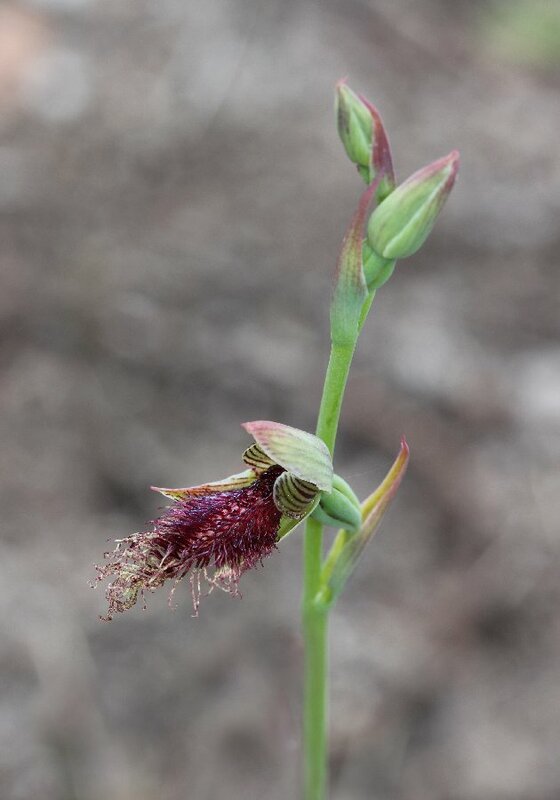 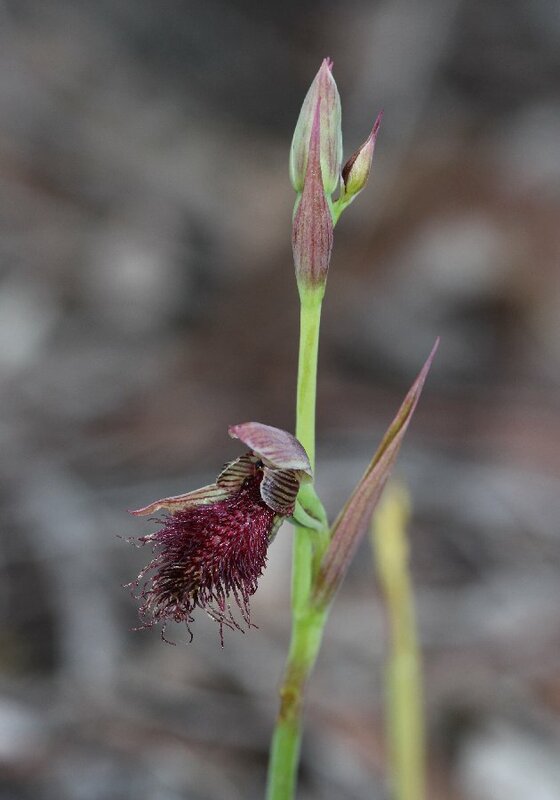 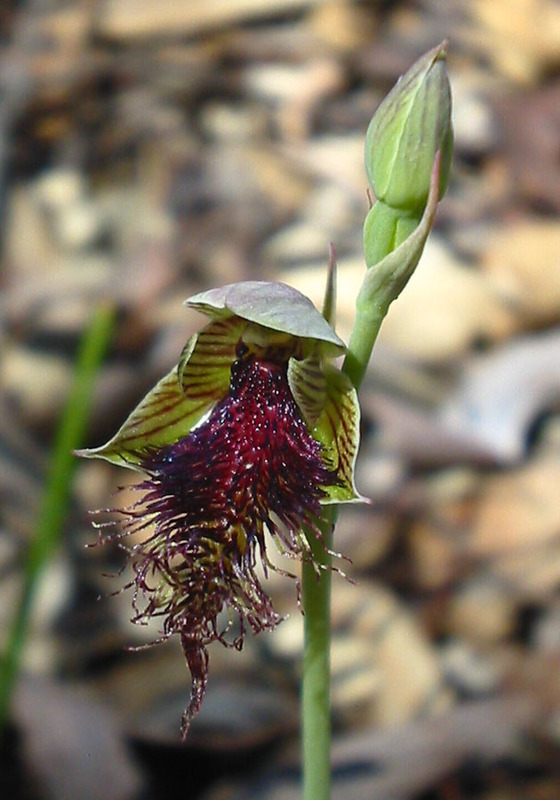 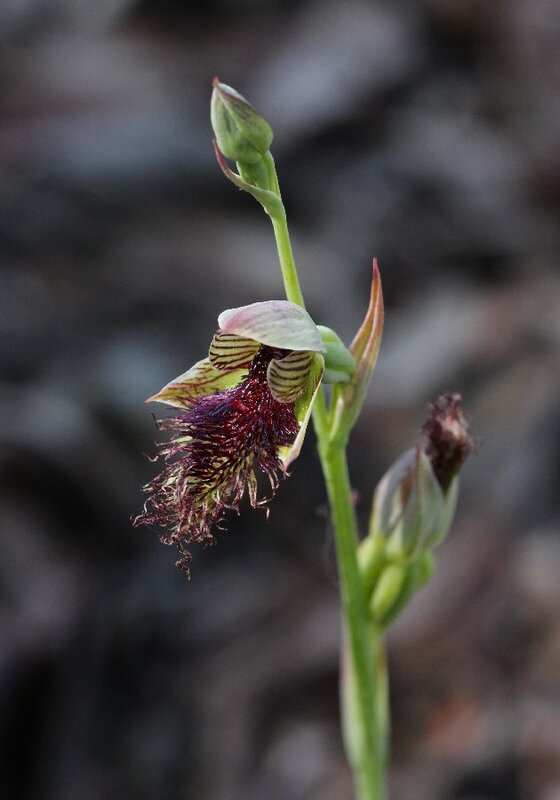 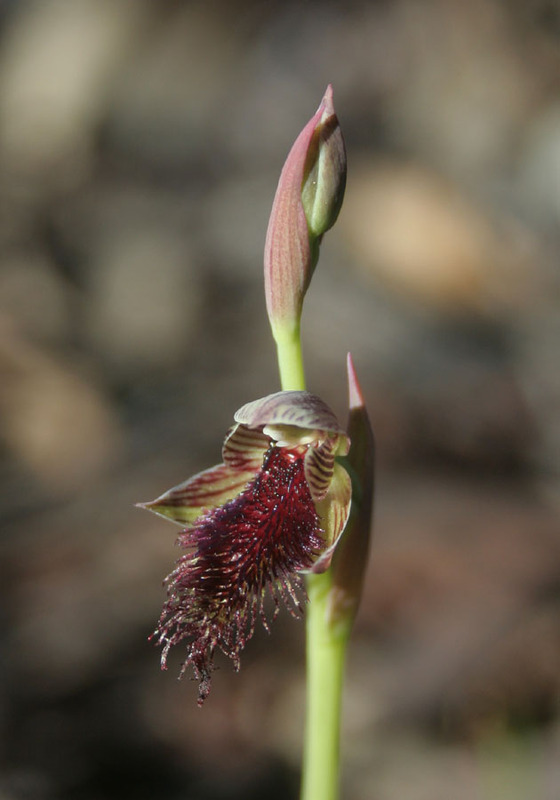 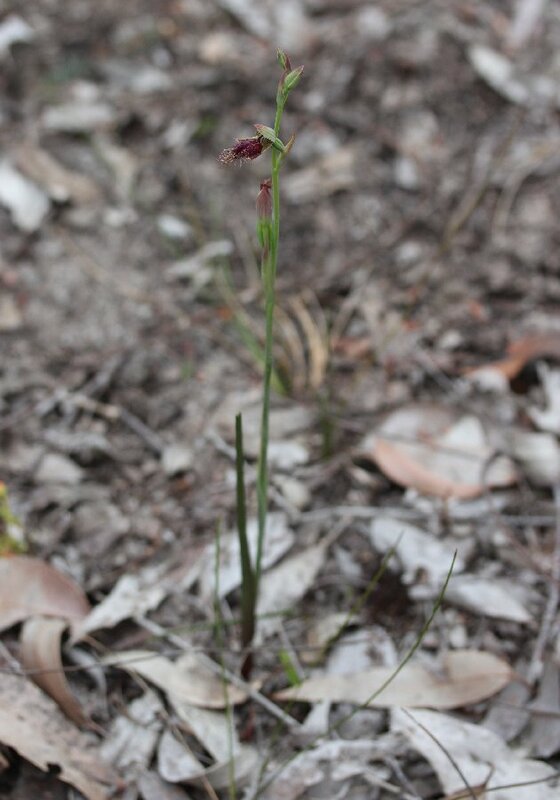 Unlike other beard orchids, this species is found in mixed banksia and jarrah forest, growing in sandy soils. 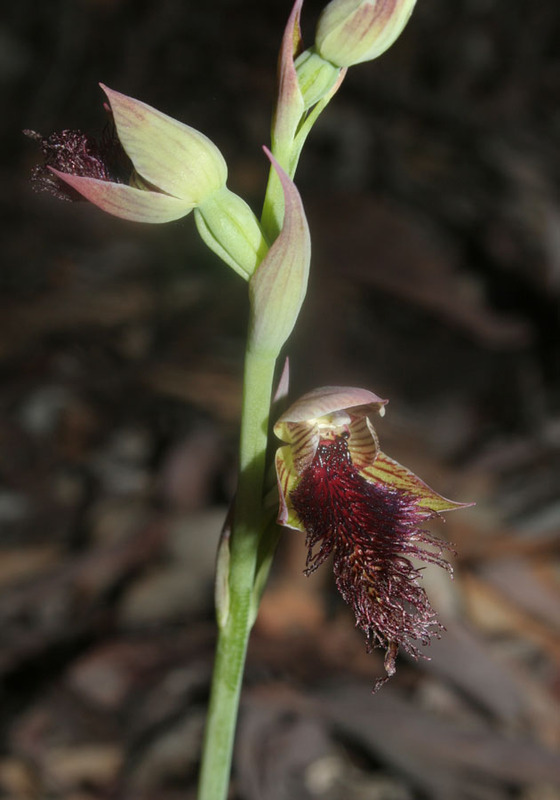 It is currently known from a single location.